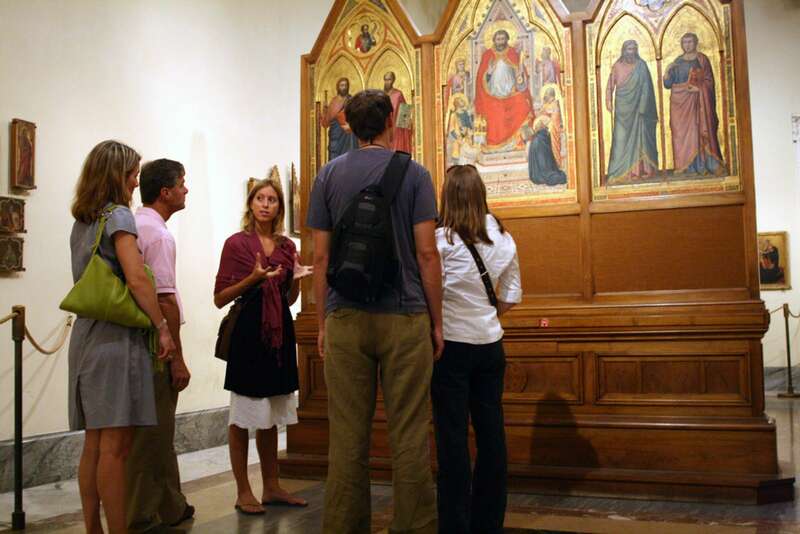 Our Vatican Collections tour with skip-the-line tickets allows us to explore these galleries in greater detail (and bypass the crowds so we get in sooner). 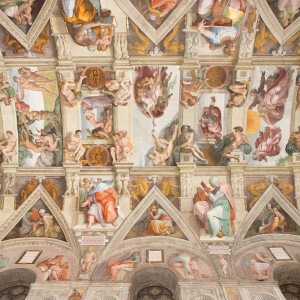 We’ll visit the Vatican Museums only, delving into the Sistine Chapel, Raphael’s rooms, and more, with an expert in art history. 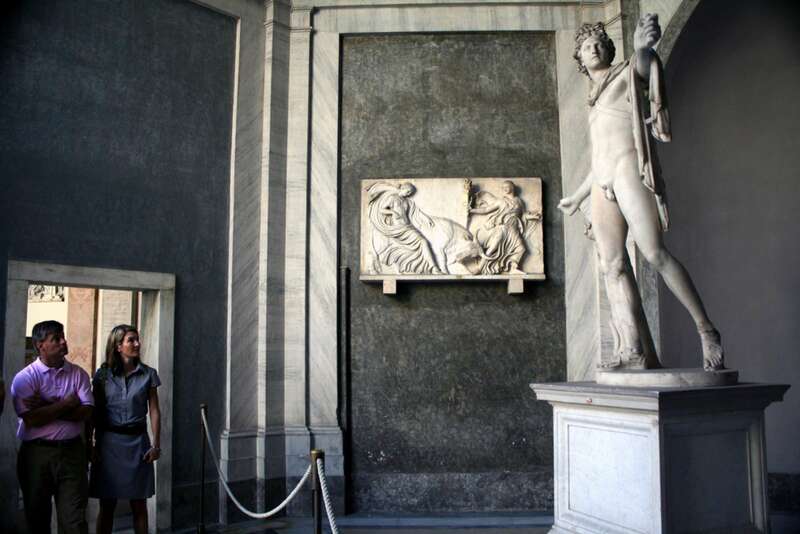 This three-hour tour provides an immersive look into the Vatican’s treasures, taken at a slightly slower pace than our popular, four-hour Arte Vaticana tour. 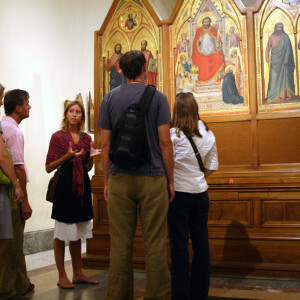 We recommend pairing this with our St. Peter’s Tour for an in-depth Vatican experience. 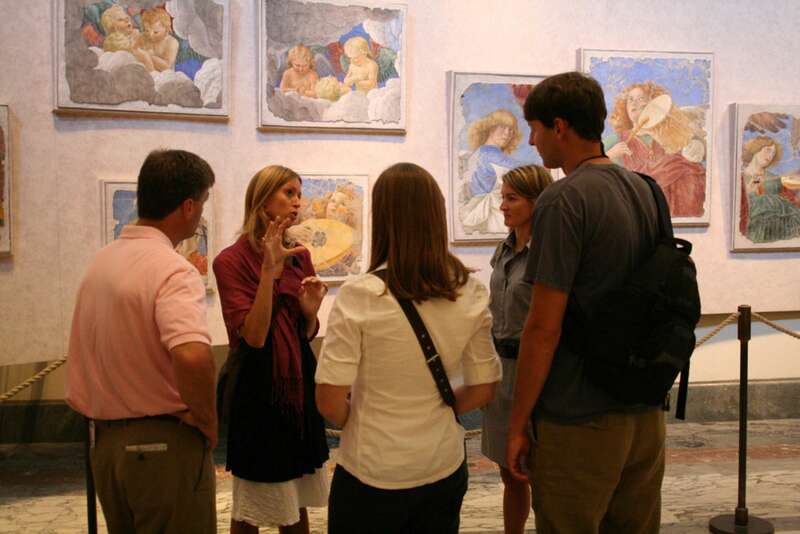 Although the exact course of the tour depends on our guide’s specialty, our interests and what galleries might be open that day, we often begin our time together with the chronologically arranged picture gallery known as the Pinacoteca. This is a great place to start because the paintings and other artworks included here provide an excellent overview of art history from the late medieval to high Renaissance periods. 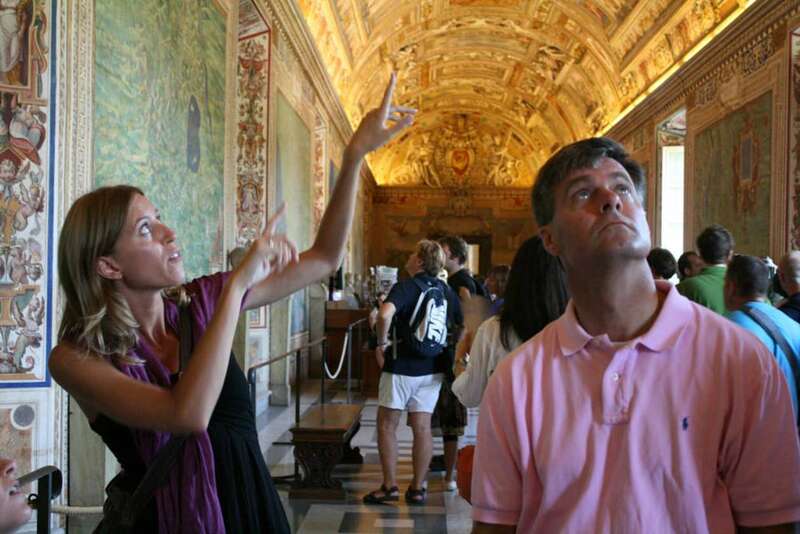 From here, we’ll traverse the halls of the Vatican palaces, visiting the most important rooms of the museums, until we reach the Sistine Chapel. 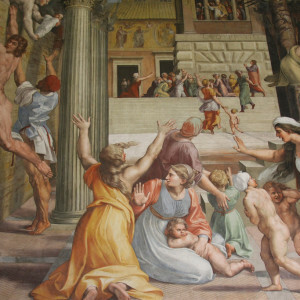 As we walk, we’ll discuss the cultural and artistic climate in which Michelangelo worked painting the ceiling and later the Last Judgment, preparing ourselves for the exquisite artistic craftsmanship we’ll get to see now. Important: While our visit includes advance reservations to the museums, the Vatican Museums are extremely crowded. We organize this walk to take place at the most opportune times. However, we may spend a few minutes at the beginning of the walk waiting in the reserved entry line line, during which time our docent will provide an overview and contextualization for the walk. No time will be wasted. Yes, we use a reserved, timed entry to bypass the ticket line at the entrance. Context, as all other registered tour companies with special accounts at the Vatican can enter without waiting in the general entry line. 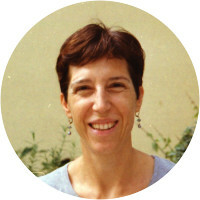 You, as well, can make a reservation individually for a timed entrance, through the Vatican's website. Despite some marketing efforts from other tour companies, using the reserved entrance, and "skipping the line" does not alleviate the biggest difficulty in visiting the Vatican: the crowds. 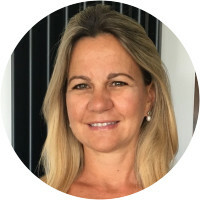 The most important consideration is timing your visit to avoid large tour groups and cruise ships. We schedule our walks to try and find the best conditions inside the museums. No. These are organized by the Vatican itself. You need to email them directly at uff.scavi@fabricsp.va. The Pope addresses a general audience every Wednesday at 10 am. You can make reservations through us by looking under Concierge Services or you can call the Vatican prefetura at +39 06.69883017. The prefetura also has an official website, which can confirm the dates of the scheduled audiences. Be forewarned that the Papal address creates a “stadium style” spirituality. It’s not the intimate engagement that people may expect, as hundreds of pilgrims are in attendance within St. Peter’s square. Since the Papal Audience takes place every Wednesday morning, St. Peter’s Basilica is closed until about 1 pm. Because of this, we don’t schedule anything in the morning. We also stay away from Wednesday afternoons because so many people who attend the audience in the morning go straight to the museums, making it unusually crowded inside. We can schedule something privately on Wednesday afternoon, but suggest you pick another day for your comfort and enjoyment. How large a bag can I take with me into the Vatican Museum? The only bags you’re required to check are larger backpacks, like the camping kind. Ordinary ones for everyday use are fine. Carry-on bags are no problem, just nothing like a suitcase. Our advice is to check anything cumbersome or anything that may knock something over. 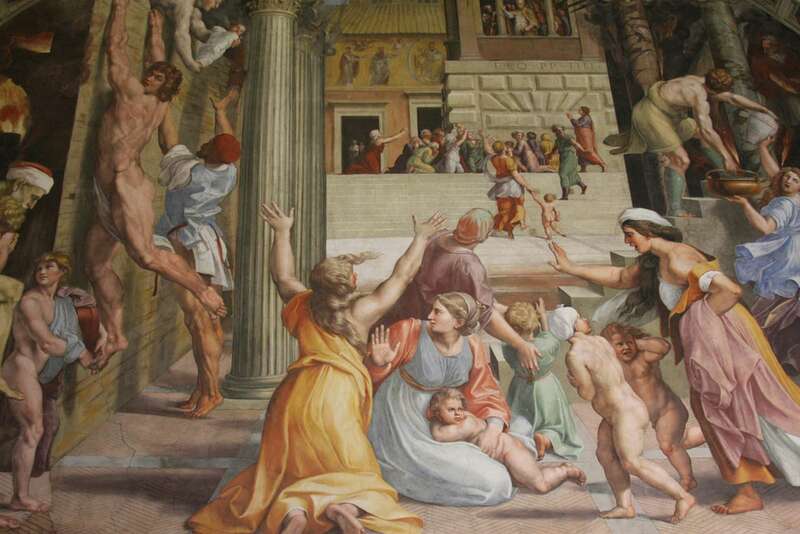 Photography is allowed without flash in all areas except for the Sistine Chapel. 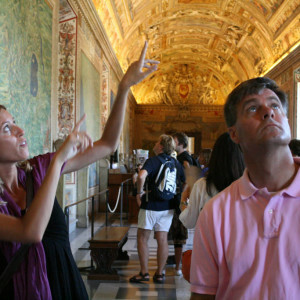 There is no photography allowed in the Sistine Chapel. If you see photos others have taken, it’s due to the fact that they’ve ignored the guards and taken photos. We do not recommend this, as we believe in adhering to the rules. 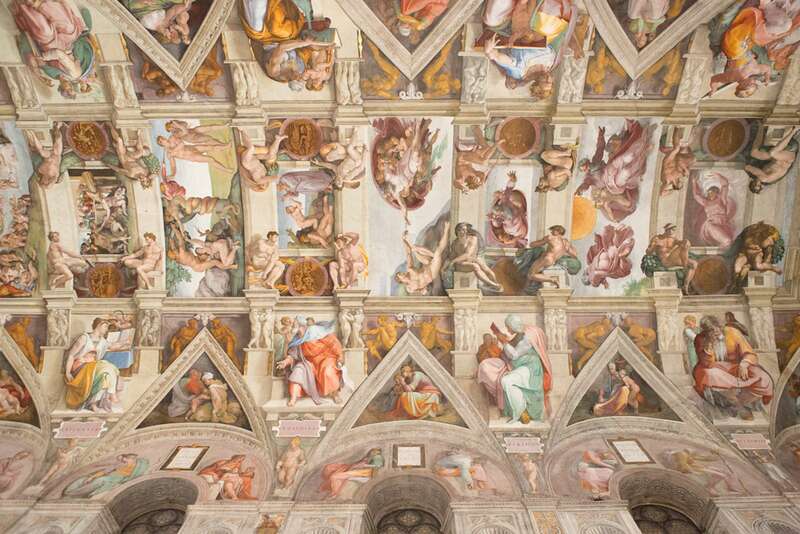 It is possible to enter into the Sistine Chapel without going through the entire museum? Priscilla was excellent! She did a wonderful job highlighting some of the best of the art collection and explaining what we were going to be seeing in the Sistine Chapel. Really enjoyable experience. 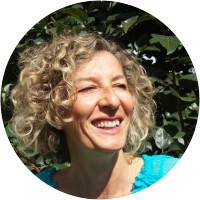 Cecilia edited the collection for us, and we were so grateful. 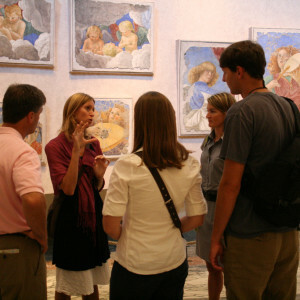 The museums and Sistine Chapel would have been a blur of too much information otherwise. Wouldn’t change a thing. Jose was a marvelous guide. So knowledgeable about so many different aspects of religion, the Vatican, philosophy. A true renaissance man. It was a treat to have him as our guide.